For those in the financial markets, a watch is more than just a device for keeping time. It is a sign of prestige, a representation of who you are, and a fashion statement. This is why many top traders invest in Audemars Piguet and the Patek Philippe watches. Of course, you don’t have to spend a fortune to get an automatic watch that suits your style perfectly. There are more affordable options on the market, and Seiko is at the top of that list. 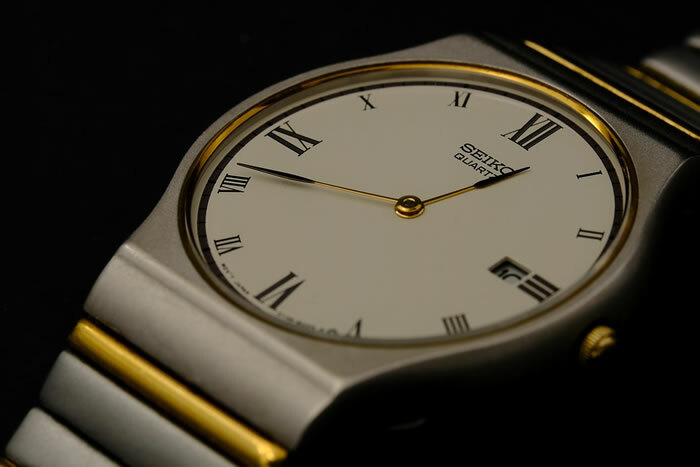 So, why should you own at least one Seiko automatic watch? Wearing a Seiko watch says something about yourself. It shows that you are more for practicality while staying true to heritage and traditions. Seiko isn’t just an ordinary Japanese watch brand. It is a brand with a lot of horology credentials. The automatic movements from Seiko are among the best on the market. In fact, both the Seiko automatic series and the more affordable Seiko 5 are popular options among horology fans looking for capable watches to wear every day. Seiko automatic watches are also very easy to wear. The automatic movement has at least 40 hours of power reserve, so you can wear it throughout the day and store enough power for the watch to stay accurate all night long. Not all models have manual winding, but that doesn’t mean you cannot get the high level of accuracy that more expensive models offer. Expect no more than 10 seconds of deviation when you wear a Seiko automatic watch. Similar to the way Rolex and Audemars Piquet have their avid fans, Seiko has a huge and strong following. The Seiko 5 line is notoriously popular among those who appreciate horology but cannot spend the premium on more expensive watches. On top of that, many Seiko watches are highly customisable. The Seiko SKX007, for example, can be customised to your liking. You can pick up custom dials, custom watch faces and, of course, custom brands to create a watch that represents who you are. The Seiko SKX007 is a very popular model for one unique reason: it really has the look of a super-expensive watch. Its black bezel and ISO 6425 certification make this a truly stunning diver’s watch. It also carries Seiko’s long history of creating beautiful diver’s watches, making it an instant favourite. Many Seiko watches have these characteristics. The classic Seiko design, with the crown of the watch placed at 4 o’clock, is charming in its own way. The simpler (and more affordable) Seiko 5 SNK793 features the same design trait. Even the sportier Seiko 5 SNK805 is recognisably a Seiko. These are little details that make owning a Seiko a complete joy. You don’t have to spend a fortune to get one either. The SKX007 we mentioned earlier, for instance, can be yours for around £75. If you are looking for a watch to accompany you during trading hours, a Seiko automatic is definitely a worthy option to consider.